Fragkiskos Filippaios is currently a Professor of International Business and the Associate Dean (Graduate Studies) for the Faculty of Social Sciences, University of Kent. Previously he was the International MBA Course Director at Kingston Business School, Kingston University London holding the responsibility for all international MBA programmes offered by Kingston University London, in Russia, Greece, Cyprus and India. The academic year 2007/2008 he was the Ministry of Economy and Finance Senior Research Fellow at the Hellenic Observatory, European Institute, London School of Economics. Professor Filippaios was awarded his Ph.D. in 2004 by the Department of International and European Economic Studies, Athens University of Economics and Business. Roles of subsidiaries of Multinational Enterprises, the location strategies of multinationals’ subsidiaries, the role of technology in the multinational group, the empirical assessment of Foreign Direct Investment and the impact of cultural and psychic distance on the performance and management of Multinational Enterprises. Professor Fragkiskos Filippaios has been a regular attendant of the annual meetings of the Academy of International Business and the European and International Business Academy as well as acted as a reviewer for both organisations. He was also a member of the organising committee for the 2002 annual meeting of the European and International Business Academy hosted by the Athens University of Economics and Business in Athens. In the past he was responsible for organising the Strategy into Practice Lecture Series hosted by the Faculty of Business & Law, Kingston University London. The series provided the opportunity to business practitioners to present and discuss with academics and students their real business experience. He has been an invited speaker to various events organised by esteemed institutions (Wharton Business School - University of Pennsylvania, University of Paris – Sorbonne I and Department of Management – University of Piraeus) around the world. He has been a reviewer for a number of journals in International Business and Strategy area such as the Journal of International Business Studies, International Business Review and European Management Journal. Professor Fragkiskos Filippaios contributes to Kent Business School’s undergraduate, postgraduate and executive teaching as well as to the design of new programmes. He has significant teaching experience at various levels, i.e. MBA, Masters and Undergraduate. His key aim is to integrate research with teaching. Until now he has designed and delivered a number of modules, on the undergraduate and the postgraduate level, that build on his research on global strategic management. Professor Fragkiskos Filippaios currently supervises a number of PhD students and welcomes applications relative to his research expertise. He has a number of PhD completions and has also successfully supervised a number of postgraduate students, coming from both MBA and pre-experienced Masters Degrees. Anthoula Avloniti: Capturing the Moderating Role of Culture on the Performance of Multinational Enterprises: Evaluation of Existing Measures and Construction of New Instruments. Zita Stone: Financial System Development in Central and Eastern Europe: Time for Equity Culture? Professor Fragkiskos Filippaios has significant professional experience. In the past he has worked as a consultant for the Ministry of Development in Greece and he has been a member of the Association of MBA’s Faculty of Assessors for the last 5 years contributing to accreditations or re-accreditations in the UK and Europe. He is particularly interested in Purpose and Outcome of Programmes and Curriculum Development. He currently acts as external examiner for Manchester University Global MBA and University of Derby MBA. He has been an external examiner for PhDs in UK institutions (e.g. University of Bradford) as well as for universities outside the UK (e.g. University of Patras). He has significant media exposure by providing TV interviews for BBC South East and being a TV panel member for Russia Today and Press TV. He has contributed a significant number of times to radio programmes by providing interviews to BBC Kent and KM FM, especially on the topic of the current economic crisis. His priority is to disseminate research to both the academic as well as the business community. Avloniti, A. and Filippaios, F. (2018). Evaluating the effects of cultural and psychic distance on multinational corporate performance: a meta-analysis. Global Business and Economics Review 20:54-87. The conceptual and empirical relationship between Cultural and Psychic Distance (CD&PD) and Multinational Enterprises (MNE) performance is a subject that still remains considerably underexplored. Regardless of the large number of studies, previous studies have delivered a mixed bag of results. Although previous meta-analyses have analysed the overall relationship as presented in the literature, they did not produce in-depth investigations of the moderators of the relationship. In this paper we claim that it is this lack of moderators which is the potential source of inconsistency in literature findings. Using a sample of 56 articles, the meta-analysis results indicate that different variables advocate a different relationship between CD&PD and multinational enterprises performance, thus confirming the vast number of moderators for the relationship as well as their crucial role. The most important sources of inconsistency identified from the analysis are the different measures used to capture the CD&PD and multinational enterprises performance. Benson, V. and Filippaios, F. (2018). The role of learning analytics in networking for business and leisure: A study of culture and gender differences in social platform users. Computers in Human Behavior [Online]. Available at: https://doi.org/10.1016/j.chb.2018.02.027. Engagement with social networking sites is influenced by the cognitive and learning processes which in turn is influenced by culture. This paper aims at unbundling the effect of culture on the use of social network sites and thus contributes to our understanding on the way cognitive and learning processes influence the engagement with social networks. The study of over 600 social networking users addresses how professional and leisure use of social networks differs across cultures, gender and other demographics. Firstly, by utilising ANOVA techniques we associate users' behaviour with nationality and furthermore through the use of an ordered logistics regression we delineate clusters of users by the purpose of social networking adoption and their cultural characteristics. Our study helps bridge the gap in literature on identifying how cultural traits, nationality and gender affect both business and leisure use of social networking. The implications of differences in user behaviour driven by nationality and gender warrant further need for applying learning analytics in social platforms to enhance user experience. Future directions of research on social networking in relation to cognition and culture are offered for discussion. Chytiri, A., Filippaios, F. and Chytiris, L. (2018). Hotel Recruitment and Selection Practices: The Case of the Greek Hotel Industry. International Journal of Organizational Leadership [Online] 7:324-339. Available at: http://aimijournal.com/Jg/0/1/09e8b96e-6cd7-4b3e-acba-6a8cf0384b23/1. Hotel industry, as a service industry, is greatly dependent upon its employees. Recruitment and Selection practices constitute an important starting stage for hotels towards generating an efficient and productive workforce. The present study, by focusing on 5* and 4* hotels, examines the current trends in the implementation and effectiveness of recruitment and selection practices in the Greek hotel industry, controlling for class category, size and ownership. An inferential quantitative research design was used, and an online survey was conducted, using a seven–point questionnaire. The study concludes that hotel industry, at least in Greece, is still using old – fashioned and cost effective recruitment and selection methods. Findings also outline that 5* and 4* hotels do not differentiate their mix of methods used in recruiting and selecting future employees. Internal recruitment methods are mostly considered to be effective in contrast to external recruitment methods. While interviews and reference checks are listed at the top of the effectiveness list of selection methods. The findings of this research enhance industry understanding of the use and effectiveness of recruitment and selection methods and indicate the need for hotels of superior class to re–examine their recruitment and selection methods and adopt more contemporary ones in their mix. Annan-Diab, F. and Filippaios, F. (2017). Multinational Firms Motivations and Foreign Direct Investment Decisions: An Analysis of the Software & IT and Financial Services Sectors in the Irish Context. Thunderbird International Business Review [Online] 59:739-755. Available at: http://dx.doi.org/10.1002/tie.21896. The paper focuses on the way greenfield foreign direct investment in different sectors is influenced by locational characteristics and explores the role of policy in attracting and retaining foreign investment. We contribute to the literature by empirically investigating the investment motivations of multinational companies in the Software & IT and Financial Services sectors in Ireland and those locational factors that contribute to the retention of foreign direct investment. The methodology used in this research is of a qualitative nature and an exploratory deductive approach is adopted in order to gain an understanding of firms&apos; internationalisation decisions and motivations. The data demonstrates that companies in the two sectors follow different investment motivations. Firms in the Software & IT sector entered Ireland primarily because of the availability of a high quality workforce. Whereas firms in the Financial Services sector entered Ireland following the deregulation of markets and the subsequent ease of doing business. The paper builds on these findings to develop policy recommendations. Kottaridi, C. and Filippaios, F. (2015). The FDI and Trade relationship revisited under structural change: evidence from a sector-based analysis in Central and Eastern European countries. East-West Journal of Enonomics and Business XVIII. This study revisits the long standing argument on the Foreign Direct Investment (FDI) and Trade relationship in an effort to shed some new light on the issue as well as investors&apos; behavior. This is achieved within the context of structural changes as proposed by the Investment Development Path (IDP) paradigm. In addition, it does so in a sector-based framework where more accurate results may be obtained and safer implications may be outlaid. 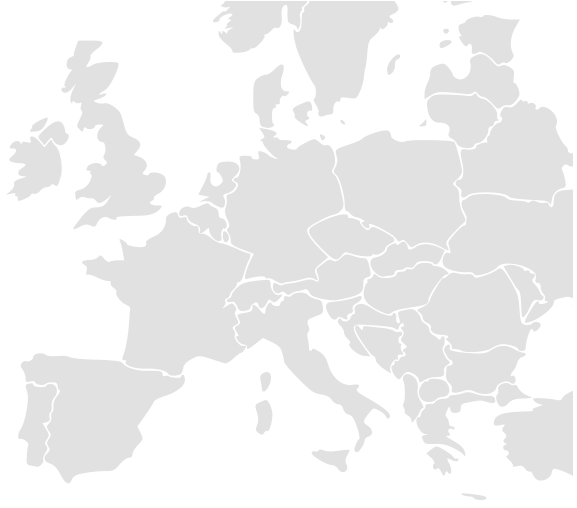 We use an expanded dataset of Central and Eastern European countries, from the early stages of transition in 1992 to 2006 covering a variety of location factors. Results pinpoint to a differential relationship between FDI and imports among the sectors, indicating a complementary one for manufacturing (secondary) and services (tertiary) and a substitution one for agriculture (primary). In the case of FDI we find strong locational characteristics such as the large market size, the gradual improvement of the macro-environment and finally the quality of labour force as centripetal forces, well documented along the structural changes framework of the IPD we employ here. Benson, V. and Filippaios, F. (2015). Collaborative competencies in professional social networking: Are students short changed by curriculum in business education? Computers in Human Behavior [Online] 51:1331-1339. Available at: http://dx.doi.org/10.1016/j.chb.2014.11.031. Social networks have earned their indisputable place as a collaborative learning tool in education. In this paper, we address the gap in literature on developing a set of competencies to allow graduates to make the most of collaborative technologies for business and professional activity as well as career management. Based on a survey of over 600 business school graduates from AMBA accredited UK universities, we are able to identify the level of awareness and degree of application of professional usage of social networks amongst students. Our results show that work experience and age of the business students play a significant role in their usage of social networks for professional purposes, knowledge and career management. The data shows that younger students are more social networking savvy when it comes to identifying business opportunities, while older graduates are less confident. This is important as traditionally graduate students are individuals in their mid careers and the skill gap between generation Y and the experienced graduates need to be bridged by adequate curriculum changes. Benson, V., Morgan, S. and Filippaios, F. (2014). Social Career Management: Social Media and Employability Skills Gap. Computers in Human Behavior [Online] 30:519-525. Available at: http://dx.doi.org/10.1016/j.chb.2013.06.015. Social capital theorists have established decades ago that well connected people do better in life. The emergence of online social networking sites has given a new impetus to building and exploiting networking for career management. While professionals acknowledge that social networking is essential for business and development, research indicates that new graduates coming into the corporate world are not equipped with the up to date skill set. Through the lens of improved employability objectives, this paper draws conclusions from a recent study of UK business graduates and their use of social networking. The paper presents for discussion an employability skill set for contemporary business professionals based on the literature, and calls for higher education to address the skill gap shown by our study. Avloniti, A. and Filippaios, F. (2014). Unbundling the differences between Psychic and Cultural Distance: An empirical examination of the existing measures. International Business Review [Online] 23:660-674. Available at: http://dx.doi.org/10.1016/j.ibusrev.2013.11.007. The diversity between the country-scores of Hofstede, Schwartz, GLOBE, Håkanson and Ambos and Dow and Karunaratna is the main focus of this study. To investigate the correlation between the country-scores of these CD (Cultural Distance), pPD (perceived Psychic Distance) and PDs (Psychic Distance stimuli) instruments we apply the Mantel test, a test predominantly used in anthropology and genetics, which can be particularly insightful when examining "distance" data. The matrix correlation findings provide evidence supporting the high diversity between these measures and their lack of consistent results for the same countries. Therefore, despite the similarity between the way of conceptualizing and operationalizing CD that Hofstede, Schwartz and GLOBE share, these CD measures do not report consistent findings. Consistently, the lack of correlation, between the PDs measure of Dow & Karunaratna and pPD of Håkanson & Ambos, indicates the diversity between PD stimuli measures and perceived PD measures. At the same time, while the two Psychic Distance (PD) measures indicate high correlation in some cases, overall they are highly diverse from the CD measures. We argue, therefore, that identical studies could reach significantly different conclusions by simply using different measures of CD,pPD&PDs which then denotes significant implications for the reliability of research findings. Additionally, we point out potential weaknesses of these measures when examining culturally proximate countries and multicultural nations. Stone, Z., Filippaios, F. and Stoian, C. (2014). Equity Culture Development in Central and Eastern Europe: The Role of Institutional and Managerial Factors. Research in International Business and Finance [Online] 31:234-263. Available at: http://dx.doi.org/10.1016/j.ribaf.2013.09.005. In this paper we argue that the development of equity culture in the CEECs is dependent on the presence of a combination of factors stemming from the external institutional and internal managerial environments of the firm. We adopt an inductive approach by firstly analysing two levels of data followed by a conceptualisation based on gained results. We examine data for ten CEECs (all current EU members) for four years 1996, 2000, 2004, and 2008. To examine the characteristics of the institutional and managerial environments of the CEECs and assess their similarities to four benchmarks (UK, USA, Germany, and Japan) we apply a Co-Plot methodology. We find that the presence of an advanced and well developed institutional framework together with the existence of specific managerial conditions is a necessary condition for equity culture development. One could argue that in the CEECs the transition process of institutional conditions necessary for the development of a sound financial system is in place but with some limitations. Furthermore, we find that managers in countries with the best potential for equity culture development are highly motivated, high-skilled people with international corporate experience. Filippaios, F. and Kottaridi, C. (2013). Complements or Substitutes? New Theoretical Considerations and Empirical Evidence on the Imports and inward FDI Relationship in Central and Eastern European Countries. International Review of Applied Economics [Online] 27:766-797. Available at: http://dx.doi.org/10.1080/02692171.2013.826633. This paper addresses the imperative need to understand the relationship between inward FDI and trade by developing a new conceptual approach and providing empirical evidence. We use an expanded time dataset, from 1992 to 2008 and an enriched dataset of countries, sectors and location factors. In regards to the inward FDI vs. imports relationship, results comply with our theoretical formulation and strongly indicate an overall complementarity with each other. In the case of FDI we find strong locational characteristics such as the large market size, the gradual improvement of the macro-environment and finally the quality of labour force to play a positive role. Kottaridi, C. et al. (2013). Regional Mix and the Roles of Foreign Subsidiaries: A New Conceptualization and Empirical Evidence on the UK Case. Spoudai Journal of Economics and Business 63. This paper develops a new conceptualization of the relationship between regional determinants and roles of foreign subsidiaries and empirically investigates this relationship in the UK at a disaggregated regional level. It focuses particularly on a relatively under- investigated field, that of the linkage between choice of regional location -within a particular host country- and subsidiary roles. The key contribution steaming from this analysis is the development of the Asset Specificity Framework (ASF) combining regional characteristics with distinctive types of subsidiaries. This framework is further examined providing detailed support for our allegations. The external environment impacts differently on subsidiary types, with agglomeration features playing the most significant role. At the same time though, idiosyncratic Foreign Direct Investment (FDI) aspects do seem to exert the most important influence for these types of subsidiaries. Interesting policy implications may then be raised regarding the design of well-targeted FDI promoting policies, aiming at upgrading regional potential on one hand and pursue the attraction of specific sectors and companies on the other. Filippaios, F. and Rama, R. (2011). Cultural Distance and Internationalization: The World's Largest Food and Drink Multinationals. Agribusiness [Online] 27:399-419. Available at: http://dx.doi.org/10.1002/agr.20283. The authors analyze the expansion of the world&apos;s largest food and beverage multinational enterprises (hereafter, F & B MNEs) over 1996–2002 using a database that provides detailed information on the location and activities of more than 8,000 affiliates. The research provides abundant empirical support to the view that F & B MNEs operate on a worldwide scale and although their share of foreign to total affiliates is lower than in the average MNE they have a wide country spread. The great physical dispersion of the F & B MNEs&apos; assets, however, does not necessarily imply expansion to cultural distant areas. World leaders in this industry are more likely to expand their operations to countries that display cultural characteristics similar to those of the home country. The authors observe differences concerning cultural distance among different companies. Western F & B MNEs seem more culturally rooted than Japanese ones, probably owing to differences in the product mix and the activities developed by the companies. A comparison of 1996, 2000, and 2002 data shows that F & B MNEs are gradually expanding to increasingly unfamiliar environments. Complementary analysis of 3,507 M&A operations involving the sampled MNEs between 1987 and 2003 confirms these findings. Benson, V., Filippaios, F. and Morgan, S. (2010). Changing the Face of Business Education and Career Planning. International Journal of eBusiness Management [Online] 4:20-33. Available at: http://dx.doi.org/10.3316/IJEBM0401020. Online social networks have become increasingly popular in recent years, providing an efficient and user-friendly way to maintain social connections and share information. They have been shown to facilitate business relationships and building of social capital using electronic media. Graduates who are coming into business for the first time are almost expected to be comfortable with interactions using social networks. This brings new challenges to graduates in the way they use social networks and how they enhance their career development and relationships with employers. This study reports the findings of a survey of 272 UK and international business school students on career development and entrepreneurship as a part of a wider study of online social networking. The results of the study reveal key differences between undergraduate, postgraduate and international student populations. The paper discusses differences across gender, educational level and nationality that have implications for social networking practices and argues for a pressing need to raise the awareness of graduates in the use of social networks to enhance their career prospects. The conclusions of the study offer better understanding of motivations and barriers to an effective application of social networks in business. Anastassopoulos, G., Filippaios, F. and Phillips, P. (2009). An Eclectic Investigation of Tourism Multinationals: Evidence from Greece. International Journal of Hospitality Management [Online] 28:185-194. Available at: http://dx.doi.org/10.1016/j.ijhm.2008.06.014. This paper analyses determinants of profitability differences between subsidiaries of multinational enterprises (MNEs) and domestic enterprises (DMEs) in the tourism industry, using firm-level data. Previous studies focus on the hypothesis that ownership-specific advantages are a major determinant of performance differences. This paper explores performance issues using the eclectic paradigm configuration of tourism multinationals (NACE = 55), operating in Greece and a panel dataset for 95 firms and 10 years. A quantile regression technique is used to estimate the proposed model. Results indicate that, overall, MNEs out-perform their domestic competitors and are generally larger in terms of size. The study reveals, though, that when breaking MNEs into majority and minority owned, the latter perform better, as they make substantial use of local partners. These partners contribute with knowledge of the local market, which is an important aspect for the tourism industry. Finally, the authors discuss the conclusions and managerial implications of the findings. Filippaios, F. et al. (2009). New Forms of Organisation and R & D Internationalisation Among the World's 100 Largest Food And Beverages Multinationals. Research Policy [Online] 38:1032-1043. Available at: http://dx.doi.org/10.1016/j.respol.2009.01.024. This paper explores the strategic internationalisation of Research and Development (R&D) activities of the world's 100 largest food and beverages (F&B) multinationals (MNEs) in 1996 and 2000 with a sample of nearly 8000 affiliates for each period. We develop a global innovation strategy (GIS) structure where we analyse the R&D internationalisation process of F&B MNEs. We argue that in a fully developed GIS model the sourcing of creative inputs does not come exclusively from a &apos;central&apos; R&D laboratory, but other overseas R&D laboratories or technological affiliates can also undertake genuine knowledge creation activity from capitalising on the scientific heterogeneity fostered in individual host countries as well as distinctive demand conditions. Our results indicate the increasing importance of overseas technological affiliates in the application of a GIS in the leading F&B MNEs, which determine the degree of their technological internationalisation. Two variants of technological affiliates reflect two broad knowledge-related activities, i.e. adaptation and genuine forms of knowledge creation. Filippaios, F. and Rama, R. (2008). Globalisation or Regionalisation? The Strategies of the World's Largest Food and Beverage MNEs. European Management Journal [Online] 26:59-72. Available at: http://dx.doi.org/10.1016/j.emj.2007.08.006. Using a database comprising around 7,000 affiliates, this article analyses the geographic pattern of the world&apos;s largest food and beverage multinational enterprises (F&B MNEs) over 1996-2000. Most of the 81 sampled F&B MNEs follow regional strategies. We find nine global firms, with 20% or more of their affiliates in three regions each but less than 50% in any of these regions. 22 companies following a bi-regional strategy, with 20% of their affiliates in each of the two regions, but less than 50% in any region; and 50 firms following a home-region strategy, with affiliates in the home-region accounting for at least 50% of their affiliates. While some MNEs could be considered as global according to their total affiliates distribution, their core business line could be regionally focused. According to ANOVA tests, global firms do not outperform other F&B MNEs; however, they tend to be larger and spread to more countries. A Pearson Chi square test and a Fisher test suggest that F&B MNEs based in different home-regions tend to follow different geographic strategies. Filippaios, F. and Papanastassiou, M. (2008). US Outward Foreign Direct Investment in the European Union and the Implementation of the Single Market: Empirical Evidence From a Cohesive Framework. Journal of Common Market Studies [Online] 46:969-1000. Available at: http://dx.doi.org/10.1111/j.1468-5965.2008.00826.x. In this article we investigate the determinants of US outward Foreign Direct Investment (FDI) in the European Union for the period 1982–2002. The data set allowed us to discern differences in the pattern of US FDI between EU core and EU periphery countries, as well as over different time periods during the last two decades. The results indicate that the US FDI pattern varies among different groups of countries and that there was a restructuring in multinational firms' investment activity after the implementation of the single market plan. Agglomeration factors, market size, qualified and productive labour and cost efficiency of local production seem to dominate in the location choice of US investors. Stoian, C. and Filippaios, F. (2008). Foreign Direct Investment in Central, Eastern and South Eastern Europe: An Eclectic Approach to Greek Investments. International Journal of Entrepreneurship and Innovation Management 8:542-564. Stoian, C. and Filippaios, F. (2008). Dunning's eclectic paradigm: A holistic, yet context specific framework for analysing the determinants of outward FDI:Evidence from international Greek investments. International Business Review [Online] 17:349-367. Available at: http://dx.doi.org/10.1016/j.ibusrev.2007.12.005. During the last two decades Greece has emerged as a key regional player and one of the largest investors in the Central and Eastern and South-Eastern European Countries (CESEE) [Bastian, J. (2004). Knowing your way in the Balkans: Greek foreign direct investment in Southeast Europe. Southeast European and Black Sea Studies, 4(3), 458–90; Demos, A., Filippaios, F., & Papanastassiou, M. (2004). An event study analysis of outward foreign direct investment: The case of Greece. International Journal of the Economics of Business, 11(3), 329–48; Kekic, L. (2005). Foreign direct investment in the Balkans: Recent trends and prospects. Southeast European and Black Sea Studies, 5(2), 171–90]. With the opening up of neighbouring markets in the early 1990s the Greek firms and entrepreneurs grabbed the opportunity to exploit their ownership advantages and expand abroad. Within this context, the primary aim of this study is to test the impact of ownership and location advantages in determining the internalisation decisions by Greek investors participating in the Athens Stock Exchange (ASE), proving that Dunning&apos;s eclectic paradigm (OLI) is a holistic, yet context specific framework of analysing foreign direct investment (FDI) determinants. To set the OLI in a specific context, we account for the different sectors and countries where Greek companies have internationalised, as well as for the time period when investments have been made. This paper&apos;s second major contribution is that by looking at both ownership advantages and institutional determinants it complements the previous works on institutional determinants of FDI. Our findings show that the expansion of Greek firms occurs primarily in similar countries with small market size, and open economies. Rule of law and high bureaucratic quality remain essential for the firm&apos;s decision whereas the existence of high corruption act as a deterrent. Finally, a significant finding is that of the existence of a learning curve in the Greek firms&apos; international expansion. Adam, A. and Filippaios, F. (2007). Foreign Direct Investment and Civil Liberties: A New Perspective. European Journal of Political Economy [Online] 23:1038-1052. Available at: http://dx.doi.org/10.1016/j.ejpoleco.2006.08.006. Filippaios, F. (2006). The Implications of the Shift Towards Services in Multinationals' Activities: Evidence From the Greek Case. East-West Journal of Enonomics and Business XI. Greece has been a traditional recipient of Foreign Direct Investment (FDI) since the early 1950s. The country constitutes an excellent example of how a small, open but peripheral economy, gradually changes according to the process of economic development. The paper&apos;s main target is dual: First to provide a comprehensive description of Greece&apos;s position in attracting FDI today and second to explain the location determinants of the structural change in Greek inward foreign investments from manufacturing to services. Whilst in the late eighties, inward investments mainly targeted the manufacturing sector, Greece nowadays attracts primarily FDI in services such as financial intermediation, real estate etc. Traditional factors attracting FDI seem to dominate the international investors&apos; decisions as well as capital productivity and labour costs on the sectoral level, these are significant influences when investing in Greece. The paper concludes by offering interesting policy implications. Filippaios, F. (2006). Are Energy Prices Strangling Kent's Enterprises? Buying and Using Utilities 12. Stoian, C. and Filippaios, F. (2006). Where to Odysseus? The Quest of Greek Firms to Expand Abroad. Global Business and Economics Anthology [Online] 2:463-480. Available at: http://eprints.kingston.ac.uk/id/eprint/11810. Filippaios, F. (2005). The Long Journey of Writing a PhD Thesis. EIBA - zine. Demos, A., Filippaios, F. and Papanastassiou, M. (2004). An Event Study Analysis of Outward Foreign Direct Investment: The Case of Greece. International Journal of the Economics of Business [Online] 11:329-348. Available at: http://dx.doi.org/10.1080/1357151042000286438. The purpose of this article is twofold. Firstly, by applying the event study methodology, it provides detailed and updated evidence on the value generating effect of different modes of foreign direct investment (FDI) entry. Secondly, this is the first paper to empirically evaluate the impact of FDI on the stock returns of Greek firms participating in the Athens Stock Exchange (ASE). In the case of Greece, the cross-section analysis revealed that successful outward FDI projects tend to be located in developed countries, performed in a high-technology sector and linked to horizontal integration. Filippaios, F. and Kottaridi, C. (2004). Investment Patterns and the Competitiveness of Greek Regions. Review of Urban and Regional Development Studies 16:99-112. This paper aims at mapping and analyzing the determinants of industrial activity in Greek regions in order to assess current investment patterns. For this purpose, we estimate a conditional logit model of 226 new established firms for 1996 and 1997. Results give interesting insights that are likely of particular importance to regional policy makers. Noteworthy is the spatial concentration of firms in different prefectures while the large metropolitan cities, Athens and Thessalonica, although with declining shares, prevail as the dominant hosts. European regional policy seems to enhance firms? entry via its effect on economic development variables, in contrast with the Greek Development Law, which turns out non-influential. Filippaios, F., Papanastassiou, M. and Pearce, R. (2003). The Evolution of US Outward Foreign Direct Investment in the Pacific Rim: A Cross-Time and Country Analysis. Applied Economics [Online] 35:1779-1787. Available at: http://dx.doi.org/10.1080/0003684032000154220. The location determinants of US FDI in the Pacific region of the OECD, i.e. Australia, New Zealand, Japan, and Korea, are analysed for 1982-1997. The data set allowed two time periods i.e. the 1980s and the 1990s, and two different subgroups, i.e. Australia and New Zealand, and Japan and Korea to be distinguished. Statistical evidence indicates a heterogeneous response of US FDI towards different countries and for different time periods. Factors such as market size, income level and qualified and productive labour exert a significant impact on both the timing and the locational choice of US investors in the region. Filippaios, F., Annan-Diab, F. and Hermidas, A. (2017). Civil and Political Liberties and FDI: An Evaluation of Emerging and Developing Economies. in: Growth Frontiers in International Business. Springer, pp. 237-256. Available at: http://dx.doi.org/10.1007/978-3-319-48851-6_12. Stone, Z., Filippaios, F. and Stoian, C. (2012). Financial System and Equity Culture Development in Central and Eastern European Countries: The Effect of Institutional Environment. in: Wood, G. and Demirbag, M. eds. The Handbook of Institutional Approaches to International Business. Edward Elgar. Available at: http://www.e-elgar.com/bookentry_main.lasso?id=14207. Hashai, N. et al. (2011). Unraveling the Relationships Between Internationalization and Product Diversification Among the World's Largest Food and Beverage Enterprises. in: Ramamurti, R. and Hashai, N. eds. Research in Global Strategic Management, Vol 15 - The Future of Foreign Direct Investment and the Multinational Enterprise. Emerald, pp. 271-299. Benson, V., Filippaios, F. and Morgan, S. (2010). Applications of social networking in students' life cycle. in: Wankel, C. ed. Cutting-edge Social Media Approaches to Business Education: Teaching with LinkedIn, Facebook, Twitter, Second Life, and Blogs. Greenwich, U.K.: Information Age Publishing, pp. 73-93. Available at: https://www.infoagepub.com/products/Cutting-edge-Social-Media-Approaches-to-Business-Education. Benson, V. and Filippaios, F. (2010). Effects of Digital Footprint on Career Management: Evidence from Social Media in Business Education. in: Lytras, M. D. et al. eds. Knowledge Management, Information Systems, E-Learning, and Sustainability Research. Springer, pp. 480-486. Available at: http://dx.doi.org/10.1007/978-3-642-16318-0_61. As online social media gain immense popularity among Internet users, we would like to explore the implication of social networking on career management. This paper links social capital theories and the impact of online social networks on ties between individuals in social and business uses. Social media contributes to building up individual digital footprint, or Internet content linked to individual names. We then propose a typology of the digital footprint based on the evidence from a survey of business students. Discussion of the implications of the study and arising research questions conclude the article. Benson, V., Filippaios, F. and Morgan, S. (2010). Application of Social Networking in Students&apos; Lifecycle. in: Wankel, C. ed. Cutting Edge Social Media Approaches to Business Education. Greenwich, London: Information Age Publishing, pp. 73-93. Papanastassiou, M., Pearce, R. and Filippaios, F. (2009). Strategic Internationalisation and the Growth of the Multinational Firm. in: Papanastassiou, M. and Pearce, R. eds. The Strategic Development of Multinationals, Subsidiaries and Innovation. London: Palgrave MacMillan. Filippaios, F. et al. (2004). Empirical Evidence on the Strategic Behaviour of US MNEs Within the Framework of Dynamic Differentiated Networks. in: Mucchielli, J. L. and Mayer, T. eds. Multinational Firms' Location and the New Economic Geography. Edward Elgar Publishing Ltd, pp. 178-204. Filippaios, F. (2019). Impact of Brexit on the Internationalisation of SMEs in Kent. Fragkiskos Filippaios. Kent County Council commissioned some research in 2016 as part of an EU-funded project to better understand the current situation with the internationalisation (export activities) of local companies including barriers to exporting and the challenges faced by businesses. This follow-up report was commissioned to better understand the evolving outlook of Kent businesses relating to international trade as the UK prepares to leave the European Union. It builds on quantitative and qualitative findings from a survey on SMEs&apos; internationalisation in October-November 2016, a roundtable of local businesses organised by Kent Business School in February 2017 and the Kent Business Summit that took place in January 2018. The report starts with a discussion of the impact on inward and outward Foreign Direct Investments and continues with a discussion of the impact on both facets of SMEs internationalisation, i.e. exporting and importing activity. It then provides evidence on the impact of Brexit on the overall economic activity and concludes by summarising the key findings and recommendations. A summary of the findings reveals the following important issues: Firms and especially SMES should be aware of their position in global value chains. Foreign exchange fluctuations are a major factor especially for SMEs that do not have the resources to hedge in the medium and long term. Access to talent and skills could have an important effect. Brexit could be an opportunity but this requires the development of an entrepreneurial approach that enables firms to become resilient. Kent&apos;s economy has the necessary characteristics to develop innovation and entrepreneurship. These findings suggest that Brexit has a negative impact but this could be mitigated with appropriate support in the following areas: Supporting businesses to having better planning and scenario analysis. Enabling access to talent through the retention and attraction of highly skilled labour force. Supporting an entrepreneurial approach to business through access to funding and additional specialised support in the development of ideas. Filippaios, F. (2018). Cross region comparative study on the Internationalisation of Small and Medium Enterprises. Fragkiskos Filippaios. The main aim of the present study is to provide a comparison of the six regional reports on the internationalisation of SMEs from the first stage of the SME Internationalisation Exchange (SIE) Interreg project. This study builds on the findings produced by regional studies from Kent County in the UK, Cantabria in Spain, Aquitaine in France, Kujawsko-Pomorskie (Torun) in Poland, Usti in Czech Republic and Molise in Italy. It focuses on identifying the levels of internationalisation across regions, facilitating factors and barriers to internationalisation of SMEs, measurement of the effectiveness of support mechanisms and providing useful recommendations to further support the internationalisation of SMEs within and across the partner regions. Despite the differences in the methodological approaches from the different partners a number of findings have been put forward. Levels of Internationalisation (page 15) – Most regions have gone through a period of large trade deficits in the last 20 years. Deepening of EU integration and the availability of funding to support internationalisation initiatives has enabled regions to turn around and demonstrate trade surpluses in the last decade. Despite the spread of internationalisation activities in the different regions it is common that a substantial proportion of them can be attributed to a rather small number of companies and an even smaller number of sectors. For all regions, other EU markets represent the key customers of their international activities. Facilitators to Internationalisation (page 19) – Ability to innovate has been identified as a key facilitator. Both process as well as product innovation have been brought forward by SMEs as factors that enhance their internationalisation efforts. Access to specialised information through the local support mechanisms and access to financial subsidies have also been identified as important facilitators. Barriers to Internationalisation (page 21) – Both external and internal barriers exist. External barriers are usually associated with the volatility and the uncertainty of the institutional environment that creates additional risks for SMEs. Internal barriers are either informational ones or functional ones. The former correspond to lack of access to specialised information about foreign markets whilst the latter correspond to lack of specialised, primarily marketing, resources to effectively enter foreign markets. Support Mechanisms (page 25) – All studies identified a complex and bureaucratic environment of support mechanisms. Significant overlaps exist between national and local/regional support mechanisms and this leads to lack of awareness and therefore lack of engagement from SMEs. A number of best practices have been identified throughout the regions that facilitate better engagement, better information dissemination and a more focused or tailored approach to the needs of individual SMEs. Recommendations (page 28) – Two major recommendations have been put forward. First, the establishment of a cross-regional business network that will enable SMEs to take advantage of opportunities in other regions and share risks across borders. Trust in this network will be infused by the existing collaboration of partners across regions. Second, the establishment of a policy laboratory that will foster sharing of best practice across regions but will also monitor and evaluate the implementation of policies across regions through engagement with a small number of SMEs. Filippaios, F. and Stone, Z. (2017). Kent SME Internationalisation Study. Fragkiskos Filippaios. The Kent SME Internationalisation Study 2016/2017 investigates the internationalisation status of SMEs located Kent, UK. The core aims of the study are the understanding of the existing levels of SME international activities; the identification of drivers for and barriers to SME cross-border activities; the assessment of the existing support mechanisms; the initiation of the Brexit impact discussion; and ultimately the provision of recommendations on the increase of internationalisation capacity and activity among Kent businesses. The rationale for the SME focus is due to the significant population of SMEs in the region and their contribution to economic growth, as SMEs create employment opportunities, contribute to achieving higher production volumes, boost exports and drive innovation. Stone, Z., Filippaios, F. and Stoian, C. (2011). Financial System and Equity Culture Development in Central and Eastern European Countries: The Effect of Institutional Environment. Kent Business School Working Paper Series, University of Kent, Canterbury, UK. Stoian, C. and Filippaios, F. (2007). Foreign Direct Investment and Aid: Engines for Growth in Transition Economies. Kent Business School Working Papers Series, University of Kent. Available at: http://www.kent.ac.uk/kbs/pdf/Filippaios-and-Stoian-No-139.pdf. Filippaios, F., Papanastassiou, M. and Palaskas, T. (2007). The role of Greek Multinational Enterprises in the Greek Economy and Policies for their future growth and development. IOBE. Filippaios, F. et al. (2006). Choosing a Growth Path: Internationalization, Product Diversification or Both?. University of Kent, Canterbury. Stoian, C. and Filippaios, F. (2005). Where to, Odysseus? The Quest of Greek Firms to Expand Abroad. Kent Business School Working Papers Series. Kottaridi, C., Filippaios, F. and Papanastassiou, M. (2004). The Investment Development Path and the Product Cycle: An Intergrated Approach. University of Reading. Kottaridi, C. et al. (2004). Choice of Location and the Roles of Foreign Subsidiaries: Evidence From UK Regions. University of Reading. Filippaios, F. (2017). Your digital footprint and managing an appropriate online identity. in: Infofest. Gokh, I. and Filippaios, F. (2017). Exploring MNEs Footloose Behaviour: A Conceptual Framework. in: 43rd Academy of International Business UK&I. Filippaios, F., Stone, Z. and Kemsley, G. (2017). Internationalisation efforts of SMEs: The role of innovation in moderating Brexit related uncertainty. in: 12th ISGEP Workshop. Filippaios, F., Stone, Z. and Kemsley, G. (2017). UK Return to Borders: The Value of Networks and Innovation for Outward looking SMEs. in: Institute for Small Business and Entrepreneurship 2017. Filippaios, F., Annan-Diab, F. and Hermidas, A. (2016). The Effect of Civil and Political Liberties Suppression on Foreign Direct Investment: An Evaluation of Emerging and Developing Economies. in: 43rd Academy of International Business UK&I. Annan-Diab, F. and Filippaios, F. (2013). Multinational Firms Motivations and Foreign Direct Investments Decisions: An Analysis of the IT & Software and Financial Services Sectors in the Irish Context). in: 39th European International Business Academy.. Available at: http://www.eiba2013.org/files/data_store/EIBA%20Program%202013_FINAL_SL.pdf. Stone, Z., Filippaios, F. and Stoian, C. (2012). Equity Culture and Transition Economies: Empirical Evaluation. in: AIB International. Avloniti, A. and Filippaios, F. (2012). An Examination of the Existing Measures of Cultural Difference: Does One Size Fit All? in: 38th European International Business Academy.. Available at: https://www.sussex.ac.uk/webteam/gateway/file.php?name=handbook.pdf&site=342. Stone, Z., Filippaios, F. and Stoian, C. (2012). Equity Culture Development in Central and Eastern Europe: The Role of Institutional and Managerial Factors. in: 38th European International Business Academy.. Available at: https://www.sussex.ac.uk/webteam/gateway/file.php?name=handbook.pdf&site=342. Stone, Z., Filippaios, F. and Stoian, C. (2011). Equity Culture Development in Central and Eastern European Countries: A Conceptual and Empirical Examination. in: Academy of International Business, UK & I Chapter. Stone, Z., Filippaios, F. and Stoian, C. (2011). Equity Culture and Transition Economies: An empirical evaluation. in: EIBA. Filippaios, F. and Stoian, C. (2007). Foreigh Direct Investment and Aid in Transition Economies. in: Academy of International Business Annual Conference. Filippaios, F. and Stoian, C. (2007). Foreign Direct Investment and Aid: Engines for Growth in Transition Economies? in: Business and Economics Society International Conference 2007. Stoian, C. and Filippaios, F. (2006). Targeting the Right Countries by the Right Type of Investor: An Analysis of the Determinants of Greek Outward Investment. Stoian, C. and Filippaios, F. (2006). Where to Odysseus? An Investigation of the Determinants of Greek Investment Abroad. in: Academy of International Business. Academy of International Business, UK Chapter. Stoian, C. and Filippaios, F. (2006). Where to Odysseus? The Quest of Greek Firms to Expand Abroad. in: Economics and Business Society International. Economics and Business Society International. Filippaios, F. et al. (2005). Internationalization vs. Business Diversification - The Impact of Internal Capability development. in: 31st European International Business Academy (EIBA). East Lansing, pp. 1-48. While both internationalization and product diversification are associated with firm growth, the choice between these two growth strategies has remained relatively under-researched. In this paper we assert that the development of specific capabilities result in dominancy of one growth strategy over the other. Hence, we expect firms to choose either internationalization or product diversification as their dominant growth path rather than pursuing both strategies. Moreover the choice of a dominant growth strategy is expected to lead to superior performance compared to pursuing both or neither growth strategies. Empirical analyses of the extent and process of internationalization and product diversification of leading Food & Beverage MNEs during the period 1996-2000 mostly support these expectations. Filippaios, F. et al. (2004). Choice of Location and the Roles of Foreign Subsidiaries: From UK Regions. in: 2004 Annual Meeting. Filippaios, F. (2004). Foreign Direct Investment in a Small Open Economy of the European Union Periphery: The Case of Greece. in: 30th EIBA Annual Conference. Benson, V. and Filippaios, F. eds. (2016). Proceedings of the 15th European Conference on Research Methodology for Business and Management Studies. UK: ACPI. Filippaios, F., Annan-Diab, F. and Hermidas, A. (2019). Political Governance, Civil Liberties and Human Capital: Evaluating their effect on Foreign Direct Investment in Emerging and Developing Economies. Journal of International Business Studies. We study the influence of a country&apos;s political governance on its attractiveness to foreign direct investors. We argue that democracy is not a unidimensional concept and that the effect of host country political governance on incoming Foreign Direct Investment (FDI) differs depending on whether FDI originates from a democratic or an autocratic country. We also hypothesize that the effect of civil liberties depends on the motivations of investing Multinational Enterprises (MNEs) and that human capital moderates this relationship. We test our hypotheses on a sample of 35,000 investments in emerging and developing countries between 2003 and 2013. Benson, V. and Filippaios, F. (2018). Social Capital Formation and Exploitation by MBA graduates: Leveraging Social Networking Capabilities through Innovation in Learning. Computers in Human Behavior. Mongong-Fon, R. et al. (2017). The roles of institutional quality and institutional distance in explaining North-South and South-South FDI: The case of foreign direct investment into Africa. Journal of International Business Studies. Filippaios, F. and Gokh, I. (2017). Footloose Multinationals: Extending the Internalisation Theory. Journal of International Business Studies. Filippaios, F. et al. (2017). Political Rights and Civil Liberties Suppression: Evaluating the effect on FDI in emerging and developing economies. Journal of International Business Studies. Information obtained from the Kent Academic Repository. The University of Kent official repository of academic activity. My office hours are variable so please email to book an appointment.